boy and his dog snuggling, originally uploaded by laurasjoquist. 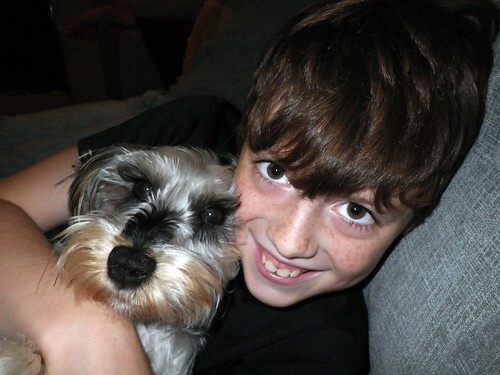 This boy loves this dog. The dog? She’s still not quite committed to the relationship. 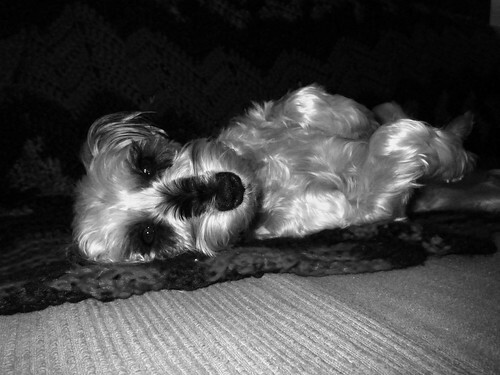 napping puddle dog, originally uploaded by laurasjoquist. Here is the dog getting some nap time in on the giant dog bed that is otherwise known as the couch. The dog was given the name Sarah before we adopted her from the humane society. She had the name for 2+ years, so we let her keep it. But it has since then been extended to Princess Saraphina Puddlebottoms Shnoodle Poodle Puppers, and infinite variations thereof. 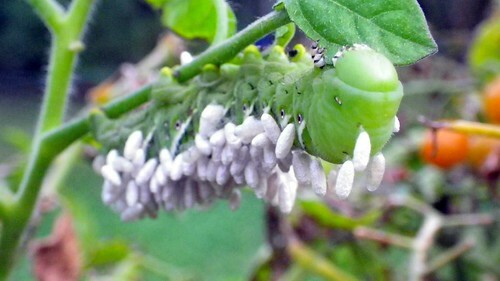 tomato horn worm, originally uploaded by laurasjoquist. I found this guy on my tomatoes, which probably explains why I haven’t been finding any good tomatoes this summer. But he’s dead now, having been eaten from the inside out by the baby wasps on his back, so it’s all good.